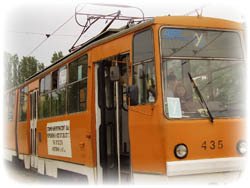 According to the needs for drivers of Sofia Public Electrical Transport Company JSC, the Training Department organizes courses for tram and trolleybus drivers – categories TTB and TTM with license No 1927 from 10/26/2007. The number of the people who are trained is in accordance with the necessity for filling the vacant work places. The courses are not regular and are organized and held according to the decision of the company management. They should not been sentenced. People who will be included in the relevant training course are selected after an interview with each candidate. For more information call +359 2 8132378.